Vehicle wraps are becoming the newest trend for marketing your business.We provide attractive, protective car wraps or truck wraps as a marketing tool for many businesses. However, many have an opportunity to create an even more impactful impression with high-quality, durable trailer wraps. Whether you are a delivery service, contractor, or over the road transport company, commercial trailer wraps provide you with a large surface to promote your business while adding professionalism and legitimacy, and attracting attention to your brand. Call SignEdge today at (705) 999-5332 for a Free Consultation with a Trailer Wrap Specialist! Semi trucks are already part of our everyday lives. They deliver goods interstate to businesses, sometimes even parked at distribution centers. You will notice that many trailers only have the company name branded on them, making them miss out on a big marketing opportunity. Many companies would pay big bucks to have 20-40 feet of uninterrupted marketing space that can travel hundreds of thousands of miles in a single year. You already have that at your disposal; you just have to capitalize on the opportunity. Your business model guarantees visibility, making a trailer wrap investment worth every single penny. Are you a landscaper, general contractor, or repair specialist that uses a box-style trailer for your business? 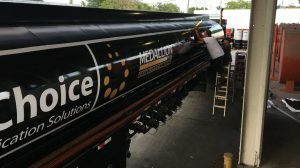 SignEdge can provide you with high-quality, durable trailer wraps that promote your brand while protecting your trailer. 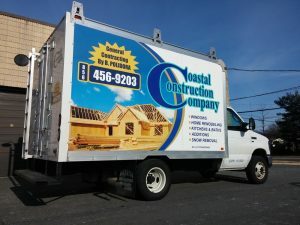 We design attractive, professional box trailer wraps that will advertise your brand and services when on the job-site or traveling through town. We not only wrap your trailer, we can create a comprehensive look with a matching work truck wrap for the ultimate in professionalism. No matter what your needs, design ideas, and budget are, our design team is ready to work with you to create a full wrap or partial wrap for your trailer. Whether an entire wrap to overlay all visible sides of your trailer is needed or just a spot graphic for branding, we can create the perfect look for your needs. 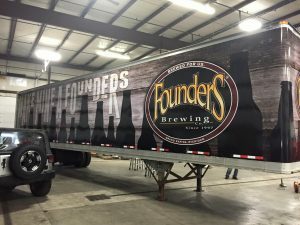 Our large-format wraps transform your trailer into a giant billboard, promoting your brand and message everywhere your fleet goes. If you want to only add a text to your trailer, we are here for you. 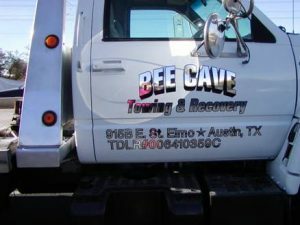 Our team of graphic designers will create custom vinyl lettering for your trailer or vehicles, such as business name, corporate message, or required DOT information to ensure you are compliant with the law. You can choose from a wide variety of vinyl options, including many different finishes, colors, fonts, sizes, and styles to ensure that all of your vehicles have a professional finish that is brand cohesive. We are not limited to creating graphics for trailers alone. We can spruce up your entire fleet, regardless of your fleet size and composition. We can create matching or complementary vehicle wraps for work trucks, cars, vans, trailers, ATV’s, RV’s, boats, and more. Our staff can customize your design to perfectly fit in any of these vehicle types, makes, and models, providing you with a consistently attractive and professional brand image. At SignEdge, we specialize in vehicle wraps, and are complete wrap manufacuters. Our vehicle wrap staff is skilled in trailer wrap design, manufacturing, and installation, handling every step of the process. 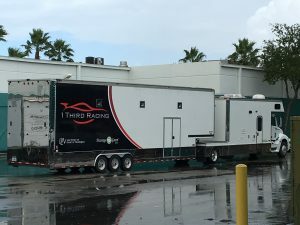 We provide you with complete design services, including providing a draft design prior to production, showing exactly how your trailer will look with the completed wrap installed. Once you have made any edits and given final approval you on your design, we begin manufacturing all components for installation. Installation is typically done at our facility and includes all vehicle prep required. Once your wrap is installed, our assistance doesn’t stop there. We provide maintenance to your vehicle wrap and repairs if needed. Our purpose is to give you with a long-term marketing product that promotes your brand and attracts new customers to your business for many years to come. Ready to start growing your business with attractive, cohesive vehicle and trailer wraps?